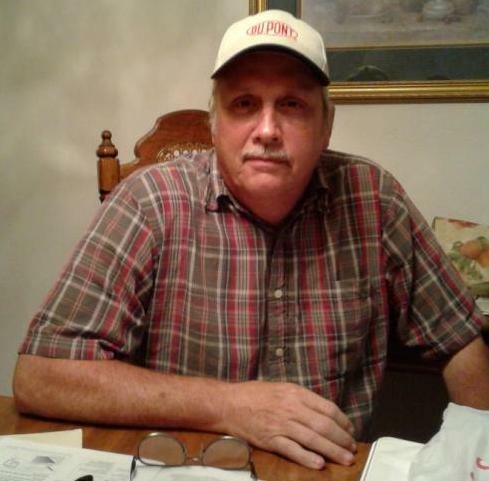 Milton "Steve" Hamilton, age 62, of Vinton, Louisiana, passed away on Sunday, August 26, 2018. Funeral services, under the direction of Dorman Funeral Home, will be held on Wednesday, August 29, 2018 at 10:00 AM, at Dorman Funeral Home in Orange, Texas. Visitation for family and friends will be held on Tuesday, August 28, 2018, from 5:00 PM until 9:00 PM, at Dorman Funeral Home in Orange, Texas. Milton was born on Friday, September 23, 1955, in Orange, Texas to parents, Dorothy Maxine (Brown) and Sidney C. Hamilton, JR. He was a lifelong resident of Vinton, Louisiana and loved his little town. He was a Christian man with a heart of gold and a very strong faith. Family was everything to Steve and his wife, Ronda, was the best thing that ever happened to him. The two were absolutely inseparable and always took wonderful care of one another. Steve genuinely enjoyed tinkering with and riding his tractors and motor cycles as well as watching his old western movies. His favorite old dog and faithful companion, Kricket, was always a joy for him to be around. He was truly a very good man that was always immensely positive and uplifting. Even in the midst of his illness, Steve never lost faith and no one ever heard him complain. Steve will forever be loved and missed by all who knew him. Mrs. Ronda Hamilton would like to send a special thank you to Dianne and Brady with Christus Hospice of Lake Charles, Louisiana as well as, Pastor Rob Tibbitts, for all of their love, help and compassion. Steve is preceded in death by his mother, Dorothy Maxine Hamilton.